Plans to introduce a £2 tourist tax in Edinburgh have won support in a recent public consultation. Some Scottish councils, led by Edinburgh, have called for powers to set levies on tourist accommodation. Figures show 85% of respondents to a City of Edinburgh Council survey backed the move, including more than half of accommodation providers. The Scottish government has said it will further consult on the issue. More than 2,500 residents and businesses responded to the council consultation on what it calls a Tourism Visitor Levy (TVL) of either 2% or £2 per room per night. The results suggested 90% of residents are supportive of a tourist tax, while 51% of Edinburgh accommodation providers, who would have to enforce the proposal, also support it. Only 9% of all respondents were opposed to the visitor levy. 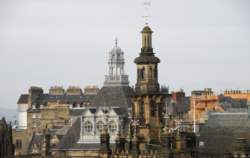 … It is estimated the tax could raise between £11.6m and £14.6m per year in Edinburgh.